It’s September, and a quick look at the calendar shows schedules are filling in again. Business meetings, family get-togethers, and before you know it – holiday parties! – are all back on the agenda. Proof Kitchen + Lounge in UpTown Waterloo is ready to host all of your events in their beautiful and functional Private Event spaces. The Hospitality Room at Proof is a fully private space that can accommodate a number of different set up styles, from boardroom to standing cocktail. 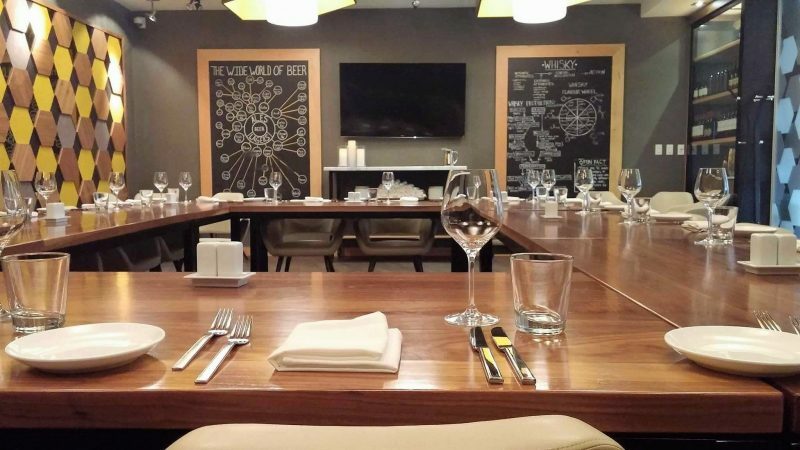 The semi-private Tasting Room also offers set up flexibility for smaller events. Both rooms are available to be reserved for a variety of private functions including corporate/business dinners, client appreciation, Christmas parties, retirements, baptisms, birthdays, wedding rehearsals, or baby showers, and are available for breakfast, lunch or dinner bookings. Proof’s private event spaces come with a number of amenities. Each booking includes dedicated serving staff who are exclusive to your event, tables and chairs, all plateware, tableware and glassware, custom printed menus and free parking for all guests for the duration of the event. For business meetings and presentations, each room is equipped with a large, 72” flat screen TV. Another successful #WRTalk Networking Breakfast sponsored by @yourneighbourhoodcreditunion. Thanks to Brooklynn Boyer for presenting her 4 steps for building a killer #socialmedia strategy. We also enjoyed a killer breakfast at @proofkitchenlounge! 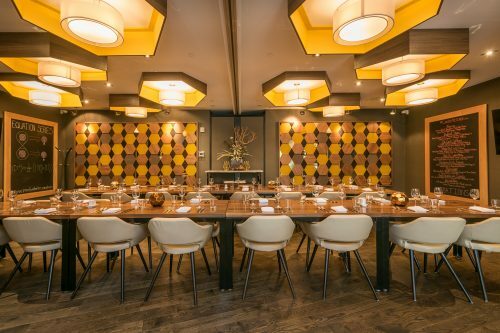 The private dining menu at Proof Kitchen + Lounge includes a number of different food and beverage options to accommodate any occasion. Whether it’s a working lunch, sit-down dinner, casual platter-style service or holiday brunch, Proof has a menu that is sure to impress every guest. All menu packages are created using fresh, local ingredients, and are inspired by international and contemporary culinary trends. Proof can also accommodate special requests for any custom menu packages that may be required. There is no deposit or room rental fee to reserve the private spaces at Proof. 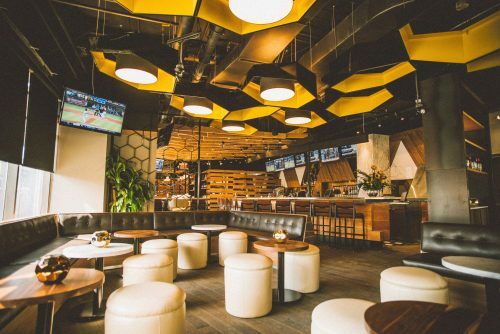 With work and social functions ramping up, now is the time to contact Proof Kitchen + Lounge for booking details, and make your event one to mark on the calendar!